This Week in the Greenhouse! AQUAPONICS! 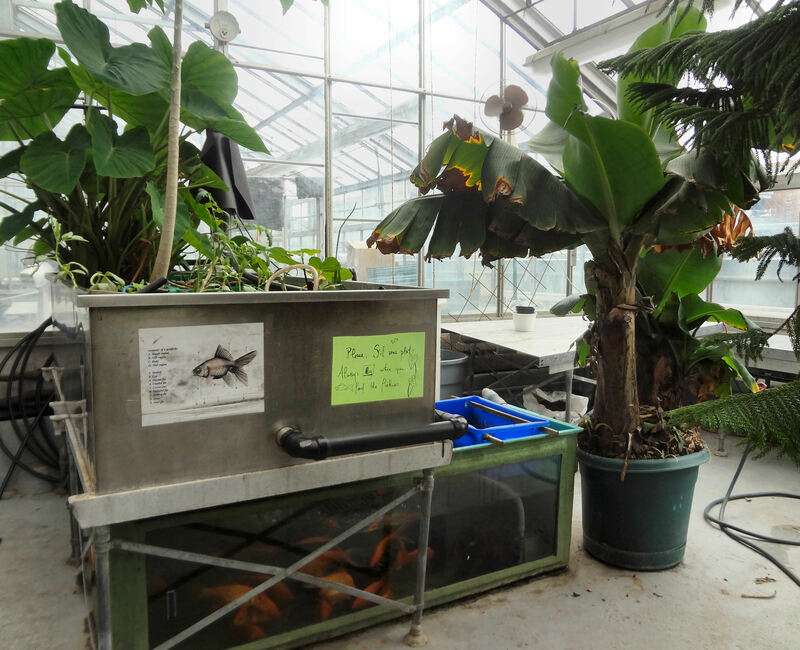 Join us for our semesterly information session on the Greenhouse’s resident aquaponics system. We’ll go over the basic concepts of aquaponics, touching a bit on the biology and water chemistry involved. We’ll also review some major milestones and learning from our own experience over the past 4 years. This is a great opportunity to network and potentially collaborate with others interested in the subject. For more details on our project please see visit our website here. Workshop partly in French and English, whisper translation available as needed.